A Mexican man on trial for the murder of a San Francisco woman has been found not guilty. The death of Kate Steinle figured prominently in the debate on immigration, with President Donald Trump referencing it as an argument for a crackdown. 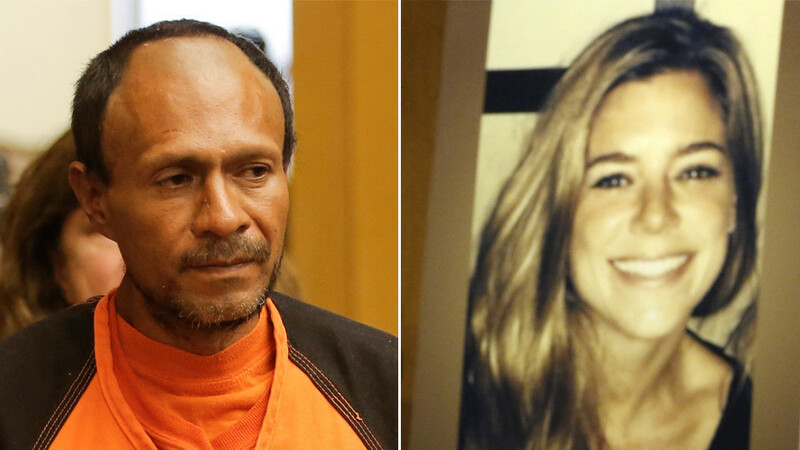 On Thursday afternoon, Jose Ines Garcia Zarate, 45, was found not guilty of murdering Steinle, 32. Zarate, previously identified as Juan Francisco Lopez-Sanchez, admitted to firing a single shot from a .40 caliber Sig Sauer at Steinle as she walked with her father on a San Francisco pier on July 1, 2015. He claimed he fired accidentally. “No wonder the people of our Country are so angry with Illegal Immigration,” Trump added. Defense attorneys successfully argued that Garcia Zarate has no history of violence and that the shooting was an accident. They said that Garcia Zarate found the handgun wrapped in a cloth under his seat on the pier and that the gun accidentally discharged as he was handling it. The shot then ricocheted off of the concrete ground, 12 to 15 feet away from Zarate, and then traveled at least 78 feet before hitting Steinle in the back. Garcia Zarate was found guilty on one count of felon in possession of a firearm. He had already had a record of seven felony convictions, including drug charges, and had been deported from the US five times before re-entering and killing Steinle. Local authorities had released Garcia Zarate despite a request from federal officials to keep him in custody because of his immigration status, according to a wrongful-death lawsuit filed by Steinle’s family. The Steinle family has filed lawsuits against the city of San Francisco, the Bureau of Land Management (BLM) and Immigration and Customs Enforcement (ICE). Matt Gonzalez, a public defender who represented Garcia Zarate, told reporters that the verdict deserves respect and reflection, not knee-jerk criticism. He specifically mentioned President Donald Trump, who he anticipated would tweet about the verdict, telling the president to consider that he himself is under investigation, referring to the probe into alleged Russia collusion in the 2016 election. Gonzalez stressed that his client, like Trump and anyone on trial in the US justice system, has the protections of presumed innocence and the reasonable doubt standard. Gonzalez also told Fox News that “the reality is we have 300 million guns in this country,” and said 50 accidental shootings happen every day. Steinle’s murder became a flashpoint in a national debate on immigration and “sanctuary cities.” During his election campaign, Trump threatened to deport every one of the estimated 11 million immigrants who live in the United States illegally. In June, the House of Representatives passed HR 3004, known “Kate’s Law,” to impose more severe punishment for those reentering the country after being deported. The vote took place two days before the anniversary of Steinle’s killing. Steinle’s murder was used by the Trump administration to attack the “threat” of “sanctuary cities,” a term used to refer to areas which refuse to assist federal authorities in detaining and deporting immigrants. “San Francisco, and cities like it, are putting the well-being of criminal aliens before the safety of our citizens, and those city officials who authored these policies have the blood of dead Americans on their hands,” the White House said in April. Attorney General Jeff Sessions is attempting to force sanctuary cities to assist federal authorities. 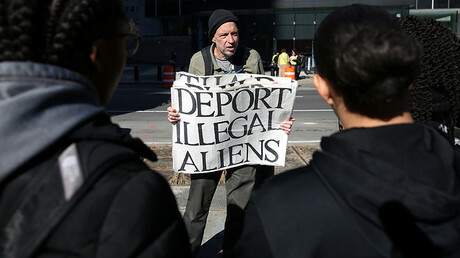 He recently issued letters to 29 sanctuary state jurisdictions, threatening to withhold millions in federal funding if they do not comply with 8 US Code Section 1373, the federal statute regulating local cooperation with federal immigration officials.